Electric shavers are available with a range of different features and often deciding between them can be tricky. This buying guide will help you make the best choice for your convenience and ease, as well as the best match for your hair type and style. What Are The Different Types Of Electric Shaver? Give you a closer shave with less irritation (great for sensitive skin). Are easier to clean than rotary blades. Are available in single (for fine hair or slow beard growth), dual (for coarse growth and sensitive skin) and triple foil heads (for longer stubble or flat-lying hairs on the neck and under the lips). Aren't suitable for shaving long hair. Are the best choice for longer hair. Have a gadget near the blade that lifts the hairs for a cleaner shave. Are available in dual and triple rotary heads. Mains: Only works when plugged into a powerpoint. Since they need to be plugged in these electric shavers are less flexible and can't be used on the move. Mains rechargeable: Can be used when plugged into a powerpoint and recharging, or unplugged running off its battery. Rechargeable: Can be used cordlessly wherever you want, but not when being charged. Battery: Used mostly for shaving whilst travelling, but not recommended for everyday use as batteries wear out relatively quickly. Pivoting heads: Adjust to the curves in your face and neck for an easier shave. Lifting comb: Pulls hair up before cutting, for a closer shave. Beard trimmer: Attached to the back of the shaver head, beard trimmers allows you to style your moustache, beard and sideburns. Moisturiser: Some electric shavers dispense moisturiser as you shave, handy for those with sensitive skin. Self-cleaning: The electric shaver cleans itself while it's recharging in the dock. This is a handy feature because hairs can hide bacteria, which can infect nicks or cuts. Travel case: Especially useful if you travel frequently. 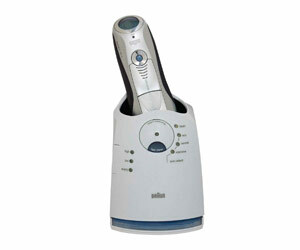 Ergonomics: It's important that your electric shaver is comfortable and easy to use — e.g. slip-proof handles, timers and comfort settings. Shower usage: If you prefer to shave in the shower, make sure your electric clippers are fully waterproof, not just washable. Dry cleaning: Some electric shavers can't be cleaned with water, but come with a special brush to remove hair. Wet cleaning: Some electric clippers can be run under the tap for an easy way of keeping them clean. When buying an electric shaver, it's important to select one by the type of facial hair you have or the sensitivity of your skin. Fine/sparse hair: If you don't suffer from sensitive skin and have a relatively light beard growth, a single foil shaver may be well-suited. 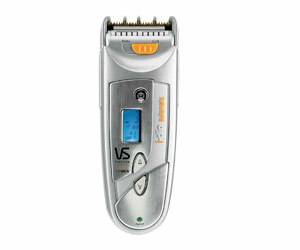 Medium hair: If you experience skin irritation when using an electric shaver, a dual foil shaver is better suited. Coarse hair: A triple foil rotary head electric shaver is suitable for a wide range of beard types — including longer stubble — and is also ideal for sensitive skin.